HoopWest 2019 planning is well underway, but we just can’t wait for October, so we’re throwing another Halfway to HoopWest jam in April! Learn: We’re kicking the night off with a one-hour workshop catering to all skill levels! Stay tuned for updates on the who and the what! 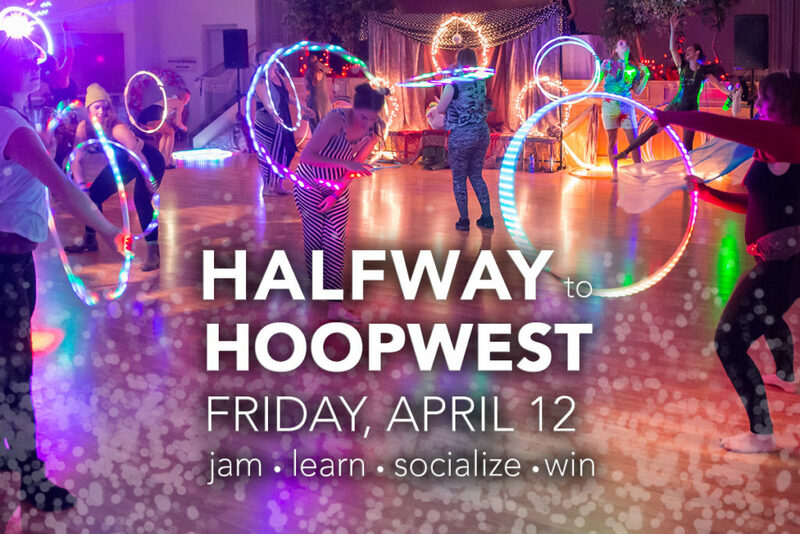 Win: HoopWest merch, flow toys and more – we’ll be drawing for prizes all night…be there on April 12 and you could win the grand prize – A full weekend pass to HoopWest 2019!